Home News trending Scientific life shining stars Technology The Sony announces officially licensed pro-gaming PS4 controllers!!! The Sony announces officially licensed pro-gaming PS4 controllers!!! PlayStation 4 gamers looking at Xbox One Elite controllers with envy may not have much longer to wait for a professional PS4 controller of their own. Sony announced today that Razer and Nacon will be each be releasing a pro gaming-focused controller for the PlayStation 4 later this year. (And unlike the knockoff PS4 Elite controller from a few weeks back, these are actually licensed by Sony.) 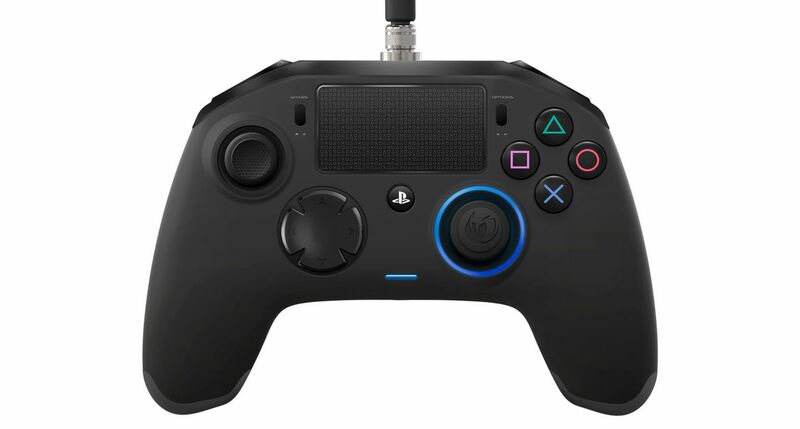 The Razer Raiju looks similar to the DualShock 4, with two symmetrically placed thumbsticks flanked by the face buttons and D-pad. It adds a row of dedicated audio controls for managing voice chat, with two extra triggers and bumpers on the back of the controller, and two hot swappable configuration profiles. PlayStation Europe (Flickr) The Nacon Revolution, on the other hand, more closely resembles Microsoft’s Xbox One controller in terms of layout by moving the left thumbstick to the top half of the device. The Revolution has a companion PC application which will let you create up to four custom button maps, along with four additional buttons on the back of the controller for extra functionality. No pricing or concrete release date information has been announced yet for either model, but Sony says to expect both controllers sometime this holiday season. The Razer Raiju looks similar to the DualShock 4, with two symmetrically placed thumbsticks flanked by the face buttons and D-pad. It adds a row of dedicated audio controls for managing voice chat, with two extra triggers and bumpers on the back of the controller, and two hot swappable configuration profiles. The Nacon Revolution, on the other hand, more closely resembles Microsoft’s Xbox One controller in terms of layout by moving the left thumbstick to the top half of the device. The Revolution has a companion PC application which will let you create up to four custom button maps, along with four additional buttons on the back of the controller for extra functionality. No pricing or concrete release date information has been announced yet for either model, but Sony says to expect both controllers sometime this holiday season.